Regardless of the high cost, durability issue and other factors, having a chic and contemporary style home is everyone’s desire. Do you think that the family homes (homes with kids) cannot be designed and furnished in a desired way due to some limitations? Undoubtedly, a home with kids is designed while keeping several factors in view but still this never means that it somehow limits the designing or decor. Instead of going into whole interior designing for a family home, we just look into one of the perspective that is ‘flooring’. In Pakistan, the hardwood flooring is considered the most stylish and luxurious choice which enhances the overall look of your house interior. However, when it comes to installing hardwood flooring in a family house, there are particular wear and tear challenges because the frequent passage in a course of the day, may damage its look and structure. Laminate flooring is available in a variety of designs, styles and qualities; therefore, the best option is to consult an interior designer in Pakistan, as he being professional can help you make the best choice. Laminate flooring is a good replacement of hardwood flooring in a family house because not only it maintains the real look of wood but is highly resistant to stains, scratches and oil spills. Whether your children are running, playing or dragging their toys on the floor, you can let them play without any fear of floor damage. Having a highly durable melamine plastic wear layer on its surface, it is does not get faded in the sunlight. Laminate flooring not only carries the exact look of hardwood floor but is highly economical choice as it costs less than half of the price of hardwood and is much cheaper than the carpet. It also benefits you on the longer run as you do not need to replace it earlier because it lasts for years and years. As compared to hardwood floor, laminate flooring is much easier to install. Laminate flooring is a snap; therefore, you do not need to use any special kind of glues to get it fixed; instead it can be fixed together by simply using tongue and groove click systems. There is no need of having a special kind of subfloor because laminate flooring requires no nail or glues to get it fit. 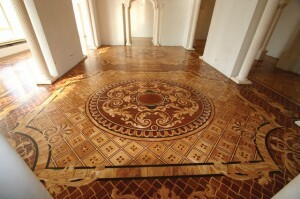 Laminate floor can easily be installed on an existing wood, plywood, concrete or existing vinyl flooring. 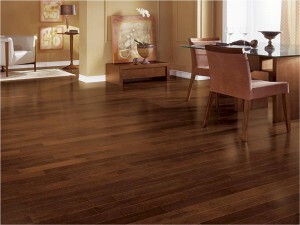 You can get the laminate flooring in the same designs and styles which are available in hardwood in the market. Therefore, you can fool the eyes of the guests and visitors by having this hardwood mimic. In a house with kids, it is hard to avoid the oil spills; water and other dirt fall on the floor because the little creatures don’t think the way you do. In such a situation, laminate flooring is a good choice because its airtight locking system and plastic exterior does not let it absorb water or dust. Therefore, it does not get stains, if any colored liquid falls on it, you can remove it easily without damaging it. Whatever, laminate flooring you choose for your house, make sure it is compatible with the rest of the interior of your house. 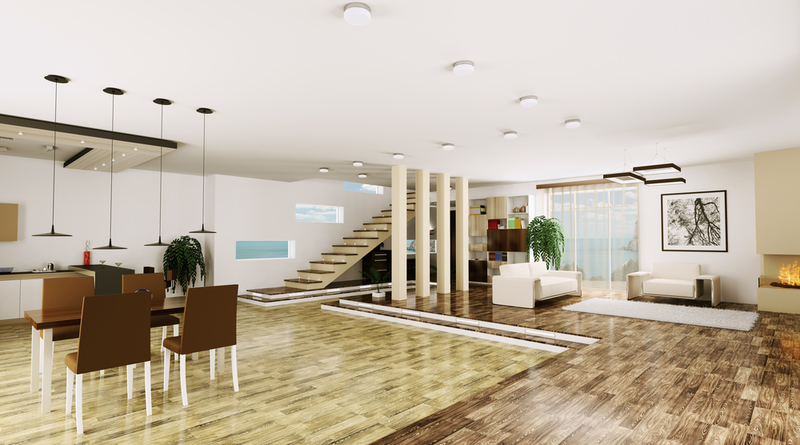 If you are going to use it for the first time, then taking the advice of an interior designer in Lahore is necessary.